Every interaction you have, every time you speak, each encounter with another person you are causing an experience with and for them. Last week as I was checking in, the ticket agent let me know my flight was delayed. It’d been rescheduled twice, and would be delayed twice more. This wasn’t good news. I was beginning a cross-country odyssey traveling with my dad, who at 95 doesn’t have the stamina he once did. Without the flight delay it would be a long, arduous day. Here’s the thing. 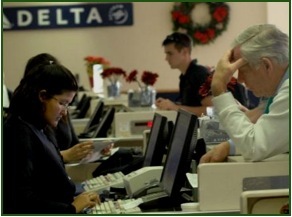 That Delta agent caused empathy, value, confidence, and assurance in me even as she communicated information I didn’t prefer. The way she carried herself, spoke, and engaged me invited trust, put me at ease, and let me know we were important. When, almost two hours later, she told us our plane was on its way, she was so genuinely relieved for us, I thought she’d cry. Just about my favorite form of entertainment is Cirque du Soleil. 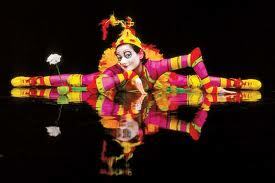 Cirque is masterful at creating an experience with the audience. Cirque could use existing venues when on tour, but the don’t. 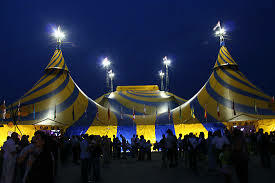 They transport and assemble a gigantic big top in every city…a visceral connection to childhood when the circus came to town. 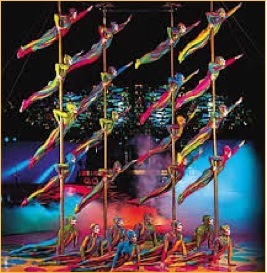 Everything about Cirque is intricately designed to cause an experience…of wonder, imagination, creativity, and delight. The music in a genre unto itself. The costumes are other-worldly. The talent is spellbinding. The comedy is quirky but accessible. To experience a performance is like being transported to another planet, another realm where humans do humanly impossible things…all the time. This experience invites me to see myself and my life differently. Things that looked like limitations don’t seem so limiting. Ministry challenges appear more like opportunities for something amazing to surface. I have these two friends. When I’m with Joseph I feel cherished—like the most important person in the world. Our conversations linger on what matters most to me and my family. When I’m with Thomas I feel like a prop in his one-man play. Our conversations rapidly move to focus on him and his amazing, talented family where they hover seemingly forever. I don’t know that either is aware of it, but both men are causing an experience with me. So, pastor, what is the experience you want to cause others to have with you? This entry was posted by Kirk Kirlin on June 3, 2013 at 10:16 am, and is filed under Client Relationships, Communication, Emotional Maturity, Leadership Skills, Leading, Relationships. Follow any responses to this post through RSS 2.0.You can skip to the end and leave a response. Pinging is currently not allowed.